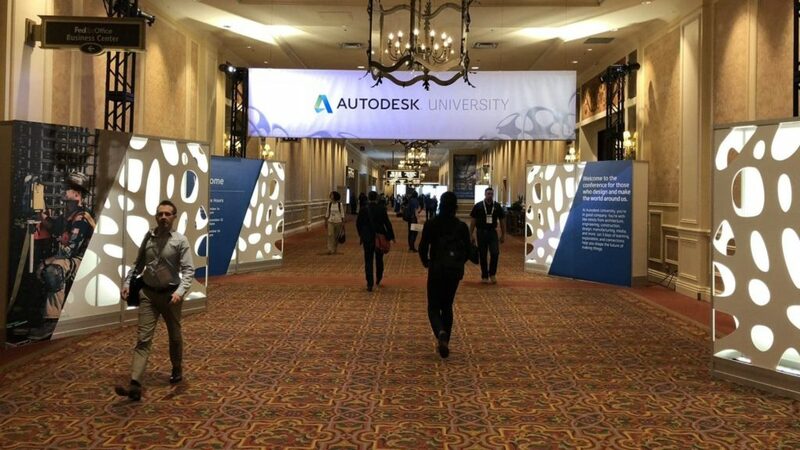 As a user of Autodesk software, no conference is more comprehensive than Autodesk University. Attending since 2007, one of my favorite things about the conference is how dynamic it is. Sure, there will be opening and closing keynotes, an exhibit hall, among other things. But most importantly, there will be classes – and lots of them! As implied by the name, learning is at the center of Autodesk University, and the 2018 conference will be no different. In fact, Autodesk’s annual call for proposals received 2,155 submissions from nearly 1,200 experts in 49 countries from across the world. As impressive as those numbers are, Autodesk now has the daunting task of choosing just 600-700 classes from the massive list of submittals. Being a user conference, the first step to Autodesk’s class selection process focuses on the user community. That’s where you come in. 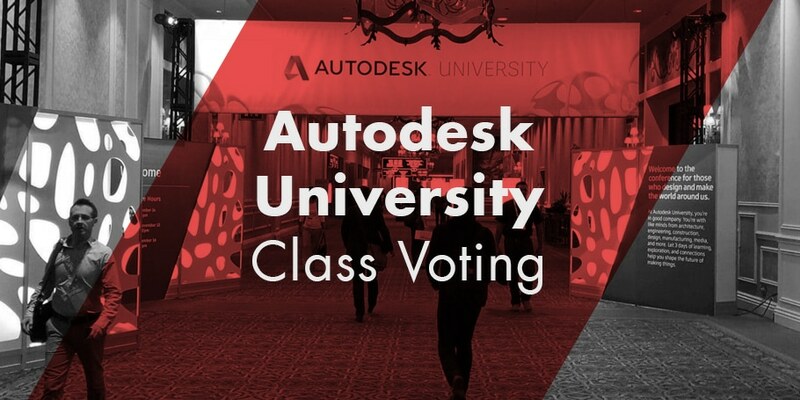 From now until July 13, 2018, you can tell Autodesk what sessions you would like to see in November by voting on them today. To cast your vote, visit the Community Voting page. Once there, you can browse through the 2,155 class proposals. Best of all, the voting site includes many filters, not-to-mention search functionality, to help you hone in on the classes you most care about. Somewhere in that sea of proposals, you’ll find the six proposals I submitted. Are you a glutton for good training? Do you lust over other company’s effective education technology? Bad training programs can leave your employees full of wrath, so don’t be slothful ?come check out this session that will outline the issues many companies see when building up or overhauling their own training programs. Your competitors will be green with envy when you pridefully show off your skilled employees – just don’t get greedy. This session will focus on overcoming the seven deadly sins of training and put your program on a righteous path. We’ll explore the process of defining education mission statements, align curriculum with student learning styles, and methods to reinforce learning. You will benefit from the unique experience and knowledge shared by two instructors who have built successful training programs in firms of more than 350 people, designed Autodesk Official Press curriculum, and who continue to build training programs for firms across the nation today. Establish a training mission statement, and methods for program reinforcement. No matter how great the curriculum or instructor, without reinforcement teams will forget up to 90% of what they learn in just a month. Video offers an efficient way to close this gap, but where do you even start to record a video, much less a video your users will watch? In this session, you will learn the secrets used to produce AutoCAD training videos seen more than 1,000,000 times on YouTube, plus strategies for applying that experience to corporate training programs. Beyond understanding how to pick the right microphone, recording software, and other technical elements, details such as video structure, format, and distribution are equally important for success. This session will connect the dots between each of these with experience-based recording, production, and distribution strategies you can take back to your office. Plan and structure video content based on data-driven insights. Build a recording studio with the proper hardware and software. Edit and produce video with simple effects, branding, and more. Implement strategies to distribute final videos to your company. Are you a glutton for the perfect CAD/BIM standard? Do you lust over other CAD/BIM managers who have the authority to get things done? Do project teams become greedy of their own standards, wrathfully rejecting the standardized and more efficient ways you pridefully implement? You need not become slothful, as this class will focus on ways to put you into the enviable position of having users who listen to you. Combining over two decades of CAD, BIM, and IT support and management experience plus years of working with numerous companies to help support their technical managers and staff, this session talks about the things nobody likes to talk about – the sins CAD and BIM managers commit while doing their jobs. What sins might you be guilty of, and what’s the path to righteous? Join this session to learn some of the common pitfalls, missteps, and misconceptions that come with the job and the how and why to avoid them. Attending Autodesk University and meeting people like you is always a highlight of my year. If you can attend – I highly recomend you do. Of course, before we can get to any of that, we have to figure out what classes will be offered when visiting Vegas this November. Be sure to do your part and vote for the classes you would like to see before viting closes on July 13, 2018. Finally, did you find an awesome proposal you hope others vote on? Sound off in the comments below with the favorite proposals you come accross this year. This is actually a good initiative to know what users are looking for. This will further help in designing functionality and parameters to give out best design.